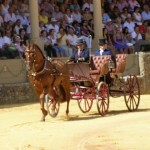 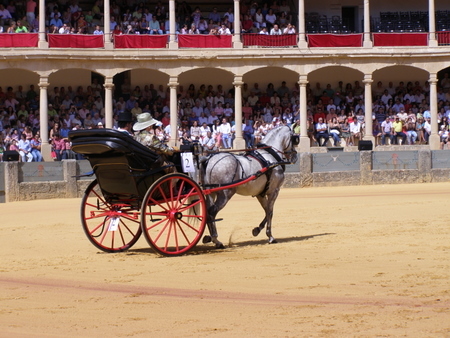 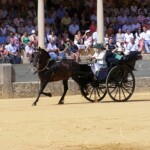 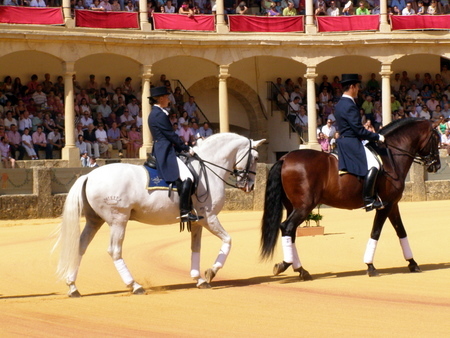 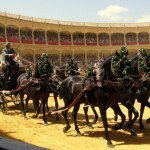 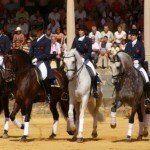 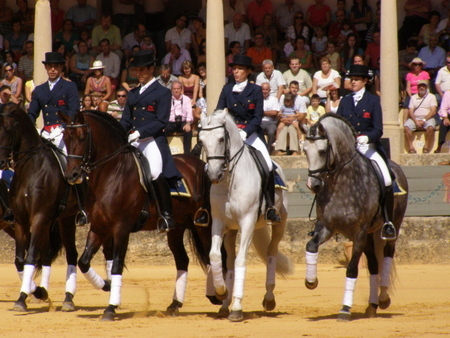 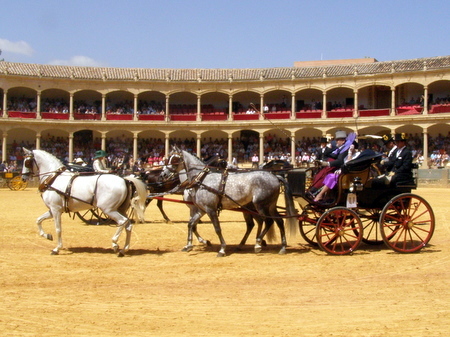 Several classes of carriage are judged, starting with single horse carriages, all the way to six horse teams arranged three across. 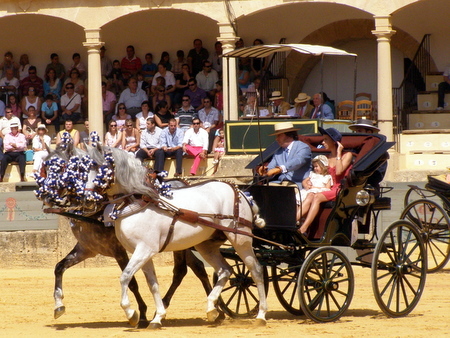 Carriages fall into two and four wheel classes, covered and uncovered, and are usually in immaculate condition. 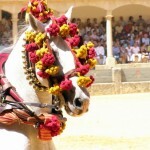 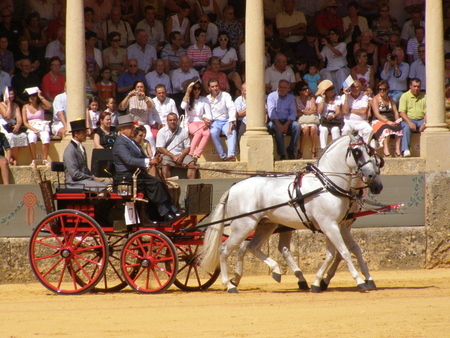 Carriage owners take great pride in the appearance of their carriages, the horses, harnesses, and of course themselves. 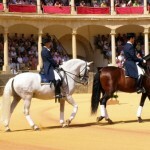 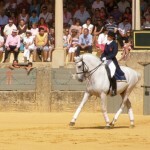 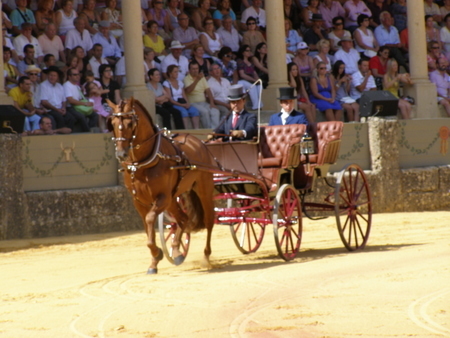 Click the “continue reading” to see images and video of the horse and carriage show. 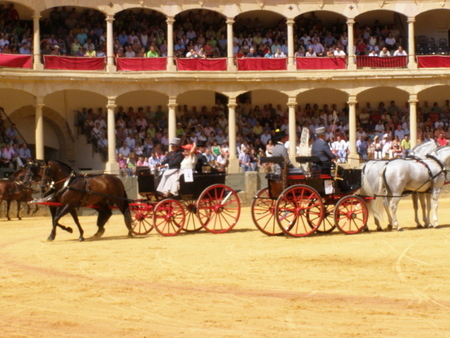 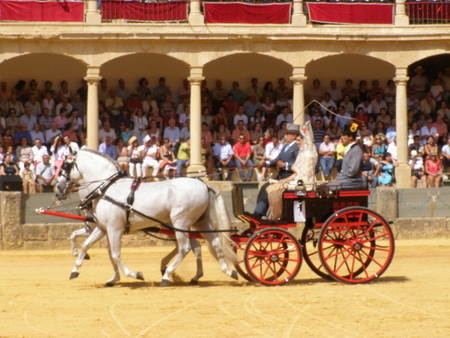 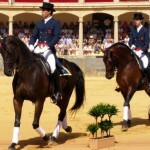 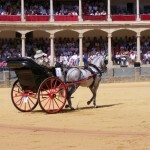 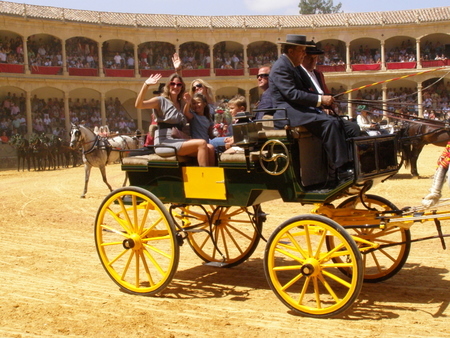 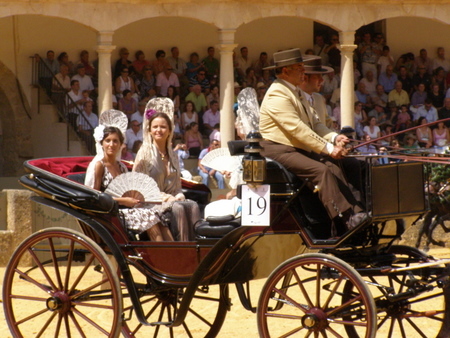 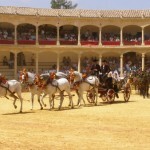 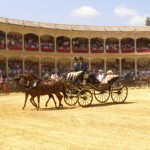 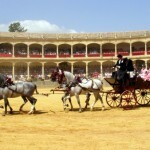 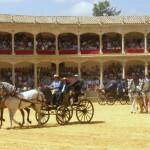 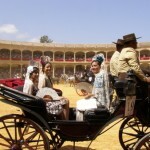 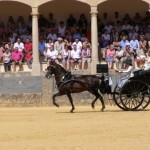 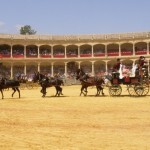 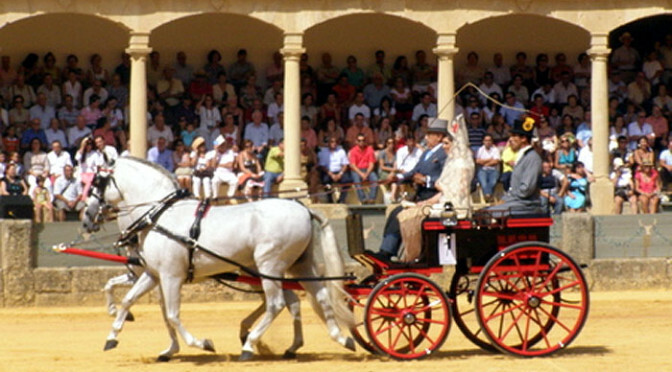 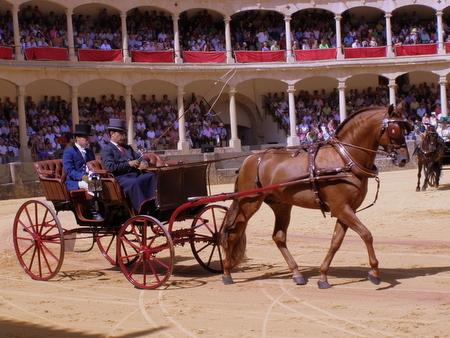 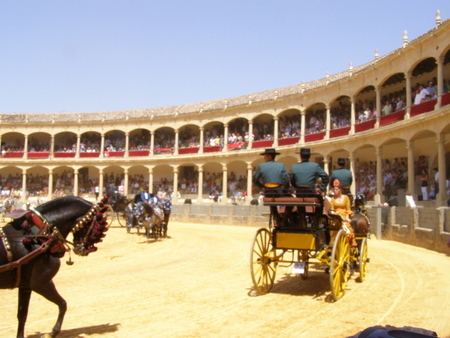 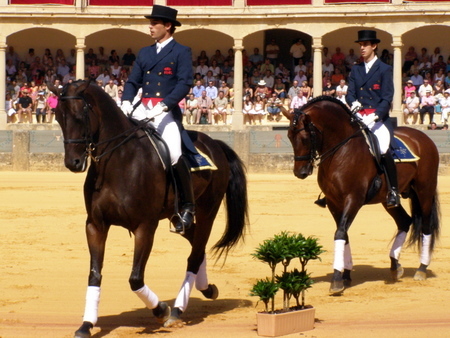 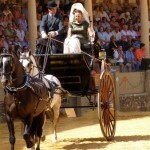 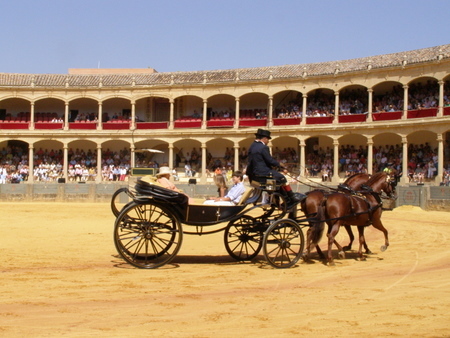 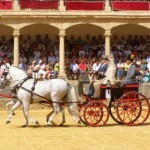 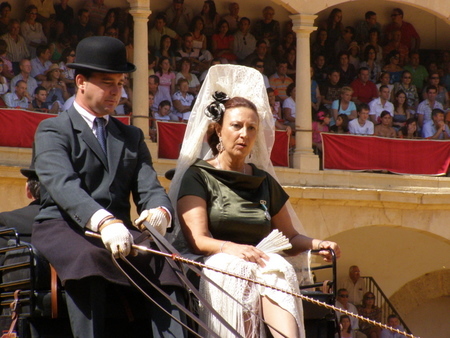 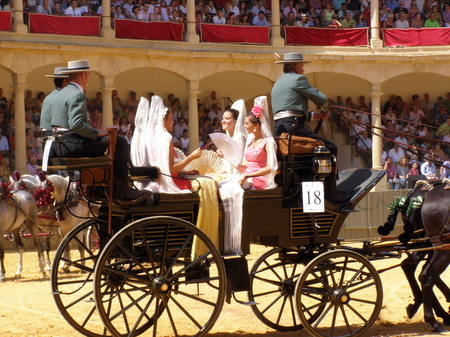 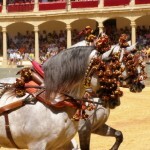 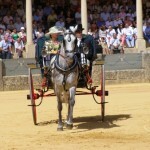 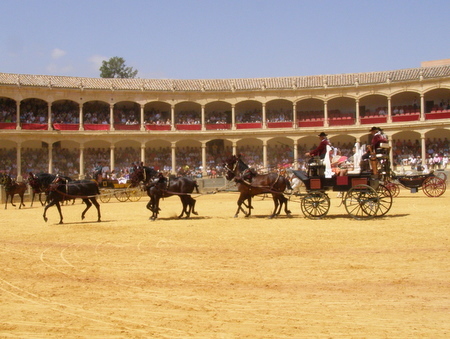 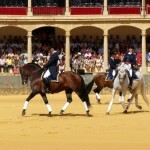 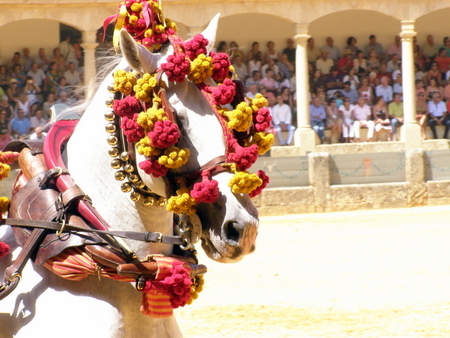 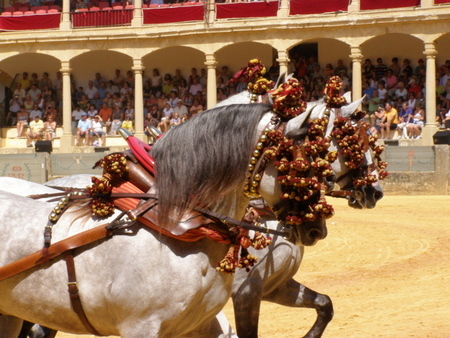 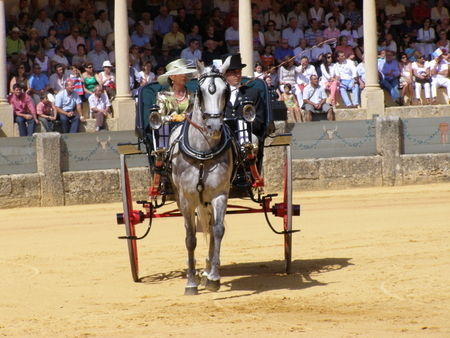 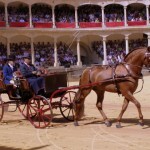 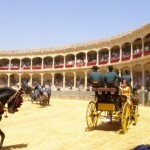 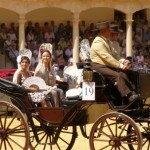 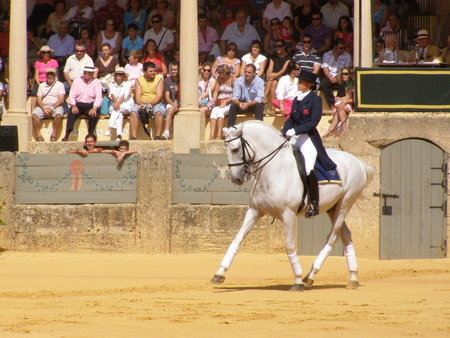 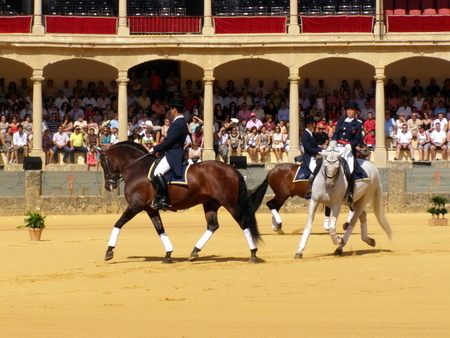 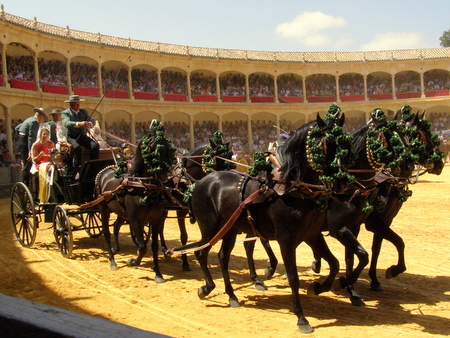 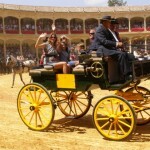 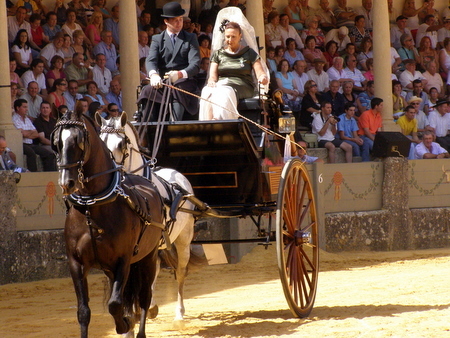 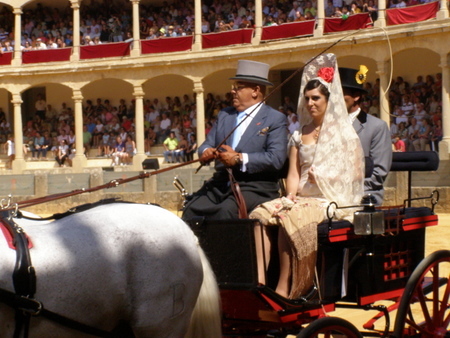 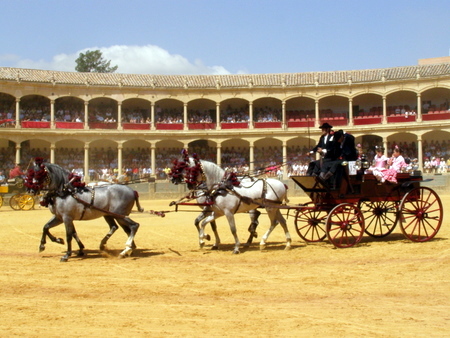 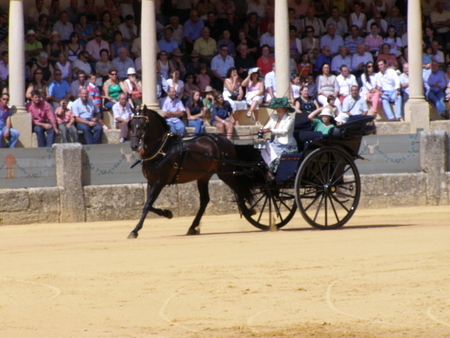 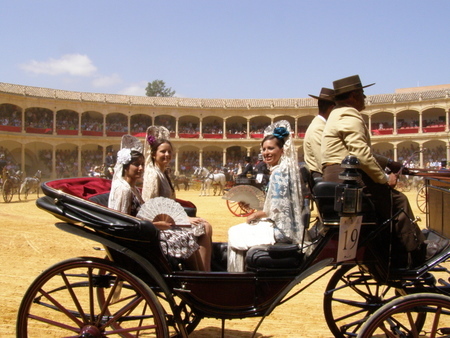 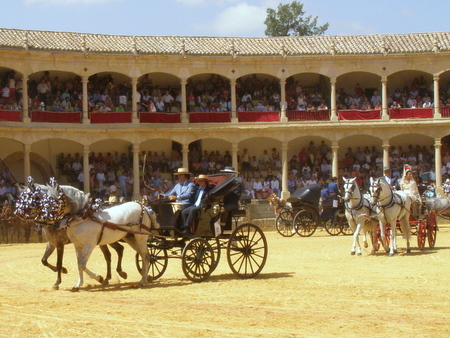 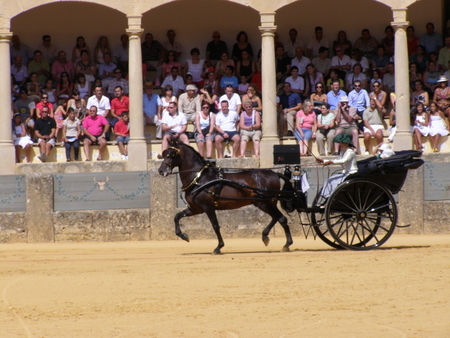 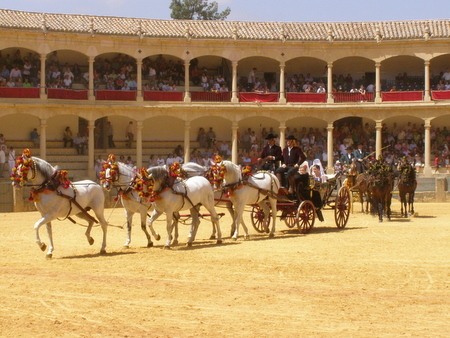 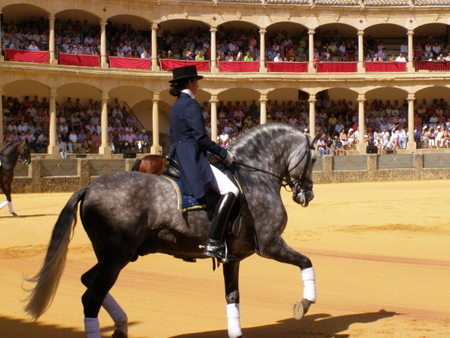 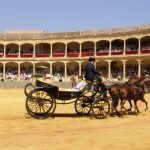 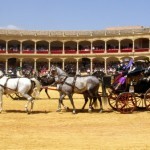 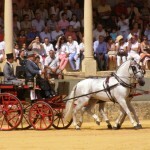 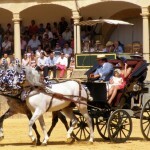 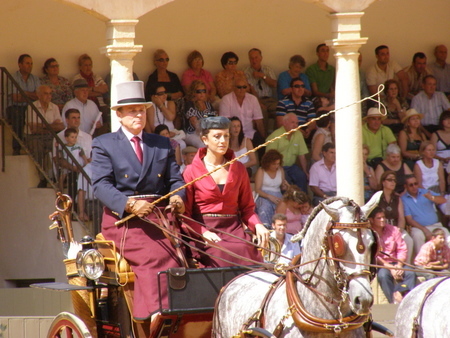 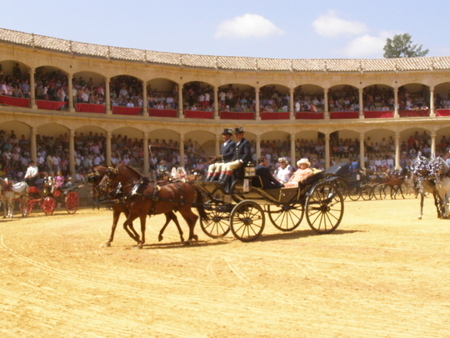 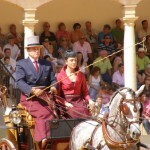 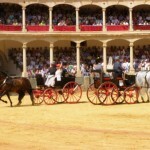 Gentlemen are dressed in period costume suitable for the carriage they drive, whilst the ladies compete to be the prettiest Flamenco lady in the Plaza de Toros. 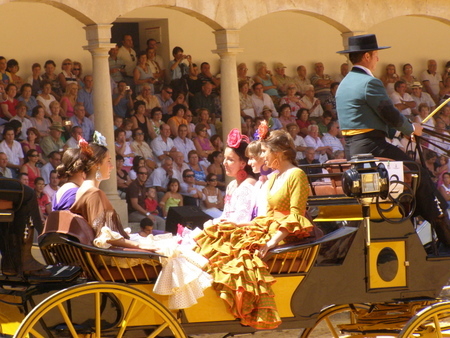 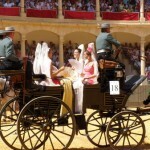 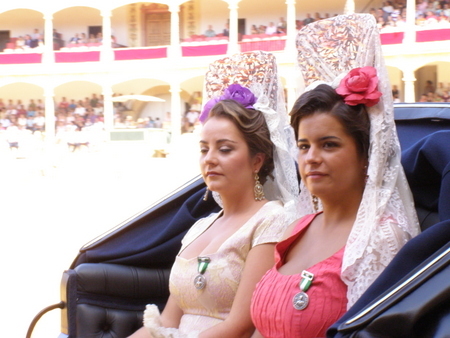 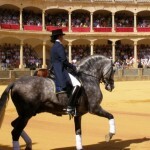 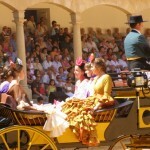 The Dames Goyesca also get their chance to perform, with all of them taking up seats in carriages owned locally.